Right after releasing its lyric video, Beck took his Morning Phase single "Country Down" to The Late Late Show with James Corden for a live performance. For this particular television appearance, James Corden had the band set up and perform in a stranger named Tommy's house. In addition to performing, Beck also played a game of hide-and-seek with the show's host as well as Reggie Watts and Jeff Goldblum. 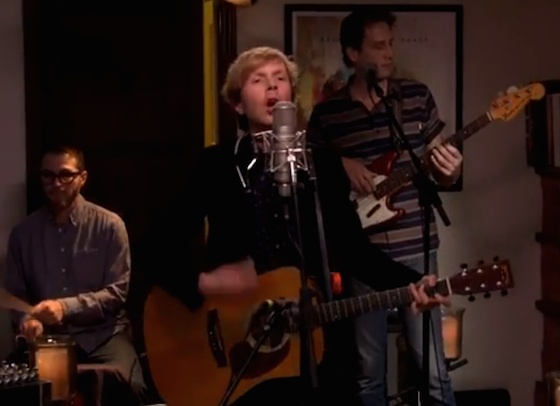 Watch Beck perform "Country Down" in a stranger's house, then play hide-and-seek, below.